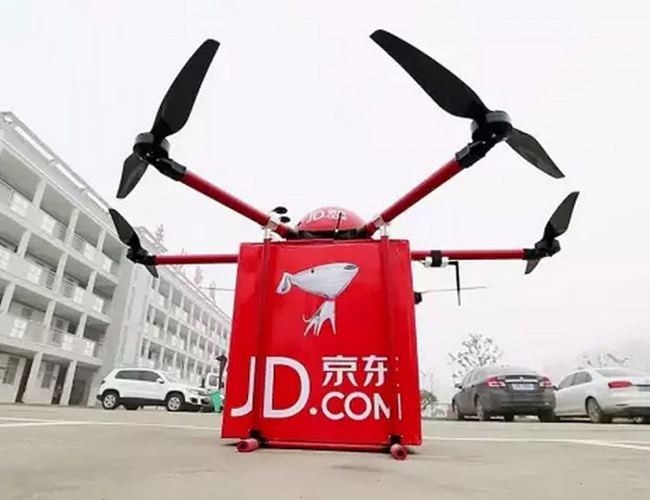 Tinuku - JD.com Inc. launched self-driving trucks in an effort to automate logistics operations. Beijing-based e-commerce giant launched an autonomous trucking technology on Tuesday to join more and more technology companies in China vying to build a delivery and transport system without human presence. Xiao Jun, president of JD's X-Business Division, said the truck was developed at the company's research center in the US and has collected 17,000 test hours on public highways. The autonomous truck is powered by JD technology that moves on the US highway without a driver behind the wheel. The trucks still need to learn how to handle traffic lights but can handle driving on the open road. "We have drivers when trucks enter the downtown area and they bring cargo to the logistics center, which is usually 10 kilometers from the freeway. We hope that the trucks will become unmanned," Jun said. The global race of autonomous trucking businesses is getting tougher where Chinese companies are competing US technology giants including Uber Technologies, Alphabet's Waymo and Tesla's Semi who have invested billions to build future transportation technologies. JD's move is the latest attempt by dozens of Chinese companies to develop their own propulsion trucks. Last week, Suning announced it had completed its first test for a fourth-level autonomous truck developed jointly with the AI Plus self-driving technology company. Last month TuSimple, backed by Nvidia, said it would launch an unmanned port logistics solution in China. Didi Chuxing has started an unmanned truck business, while NIO Capital has announced a similar move by collaborating with G7 internet companies and GLP logistics providers. Chinese transport minister Li Xiaopeng said in February it is also building autonomous ships and trains.